Who is Oscar Pistorius? In which events does Oscar Pistorius run? How does Oscar Pistorius run? This article answers these queries by giving complete information on Oscar Pistorius life, the blades he uses, his athletic career, family, etc. You will also get to see images of Oscar Pistorius. These are the inspiring words of South African Oscar Pistorius. He is the one who matched Florence Griffith Joyner's world record time of 21.34 seconds in the 200m event (which she achieved at the 1988 Seoul Olympics). 17 later Oscar Pistorius matched that record. Sports records are nothing new. Every year established records fall routinely. What was remarkable about Oscar's achievement was that he is an athlete without legs. Unbelievable! Due to a congenital condition, Oscar was born without the bones required to support his calf muscles. His parents, Henke and Shirley Pistorius, did not to put him in a wheelchair. Instead, they opted to get his legs amputated so that he could use prosthetics. Oscar played various sports with fibreglass pegs, including soccer at Constantia Kloof Primary School; later he was a member of the third XV team at Pretoria Boys' High School. Water polo and tennis, too, were taken up enthusiastically. He even wrestled with stronger competitors in club Olympic wrestling. At age 17 Oscar competed in the 2004 Summer Paralympics in Athens, Greece. In his debut 100m he clocked 11.78s and finished third overall in this event (T44 event - one leg amputated below the knee). In the 200m event, Oscar had a poor start. He tripped and fell, but the gutsy athlete got up and ran to the finish line. He qualified for the final with a time of 24.1 seconds. Oscar won the gold, beating single amputee American runners Marlon Shirley and Brian Frasure. He established a world-record time of 21.97s. Oscar then won a second gold in the 400m. An avalanche of world records followed: 47.34 seconds in 400m in the able-bodied 2005 South African Championships; gold in the 100m and 200m, beating his previous 200-metre world record, at the Paralympic World Cup; world record at the 2006 Paralympic Athletics World Championships, with wins in the 100, 200 and 400m events; 46.56 seconds in 400m at the 2007 South African Senior Athletics Championships set a disability sports world record; 2 more world records at the Nedbank Championships. The 2005 IAAF Grand Prix in Helsinki was to have been the venue for Oscar's debut in an international able-bodied event. He could not compete, however, as he would miss out on his classes at school. Back on the track at the 2007 Golden Gala in Rome, Oscar finished second in the 400m race in 46.90 seconds. Oscar then set his sights on the 2008 Beijing Summer Olympics as a member of the national team to compete in the 400m. For this, he had to attain the Olympic "A" standard time of 45.55 seconds. However, he failed to reach the required time during qualifying meets. The prosthetic blades that are attached to Oscar's knees are named Cheetahs. These blades were first introduced in 1996 by the Flex-Foot company. In 200 it was taken over by Icelandic firm Ossur which makes prosthetics and other non-invasive orthotic devices. Ossur re-designed the rudimentary blades. The new blades are designed from carbon-fibre & are attached to the knee socket. From a downward direction, the blade takes a turn back & then angles forward. 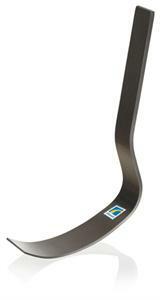 When Oscar runs, the blade takes a grip of the track, compresses & returns to its original shape. The website wired.com had a report of how the Cheetahs are created at Ossur's headquarter in Reykjavik, Iceland. The number of carbon fiber sheets required for a blade is selected depending on the athlete's size. Resin is inserted in them and the sheets are stored in an industrial freezer. Then they are layered and put through a process of melting. This process fuses the resin and sheets into one curved plate. A mechanical arm creates numerous Cheetah legs from the large plate. All this results in a very expensive blade with each one costing above $15,000. In January 2008 the International Association of Athletics Federations (IAAF) ruled that Oscar could not compete against able-bodied athletes. A study initiated by IAAF found that more energy is returned to Oscar's upper legs from his blades than from ankles and calf muscles and that he uses less oxygen. He could thus not compete at the Beijing Games. Oscar appealed against the decision to the Court of Arbitration for Sport (CAS) in Lausanne, Switzerland. The CAS reversed the IAAF's ban, thus giving a chance to Oscar to qualify for the Games. Oscar Pistorius's coach Ampie Louw pointed out that it is not the technological feature of the blades which help Oscar to run – after all, he does need to pump up energy in his hips and knees to use those blades. What's more, there is no predicting how weather can badly affect his run. For example, a slight gusty wind can just loosen the blade from the socket. He has often found it tough to get into rhythm at the beginning of a race, especially in the 100m sprint. Hence, he prefers the 200m and 400m events. In these events, he is able to take quick short strides in the initial 30 meters; then he smoothly shifts to a faster speed, getting his maximum momentum in the final stretch. To maintain all that energy, he undergoes strength training under the guidance of Steven Ball. Oscar hopes to be able to emulate the stride patterns of Asafa Powell and Michael Johnson. Oscar will be competing at the 2011 IAAF World Athletics Championships in Daegu in the 400m & the 4x400m relay events. He qualified for these events by racing to a time of 45.07 seconds in the 400m event at an international competition in Italy. This time also makes him eligible to run at the 2012 London Olympics. As you await the start of the IAAF championships, you can read Oscar's inspiring life story in Oscar Pistorius autobiography Dream Runner (in Italian); its English version Blade Runner was released this year.